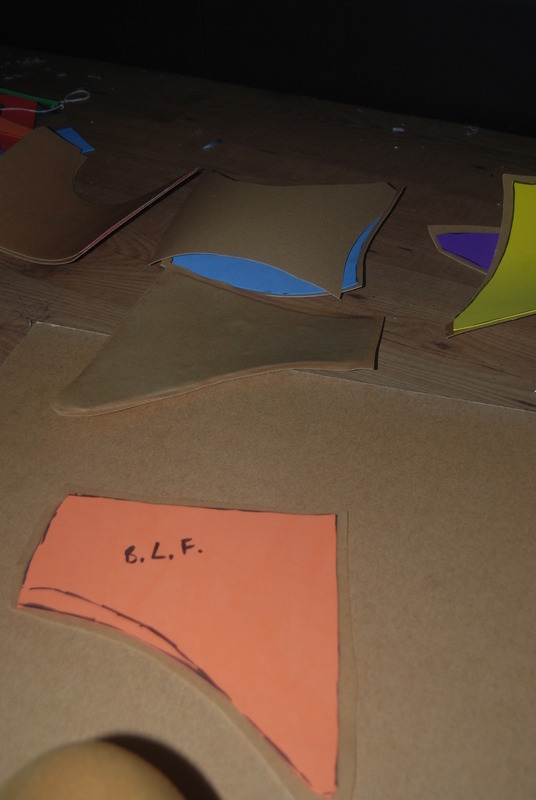 I made a mold of my body using gaffer tape, then drew on the rough shape of my armour, which I then cut out and transferred the pattern onto foam sheets. 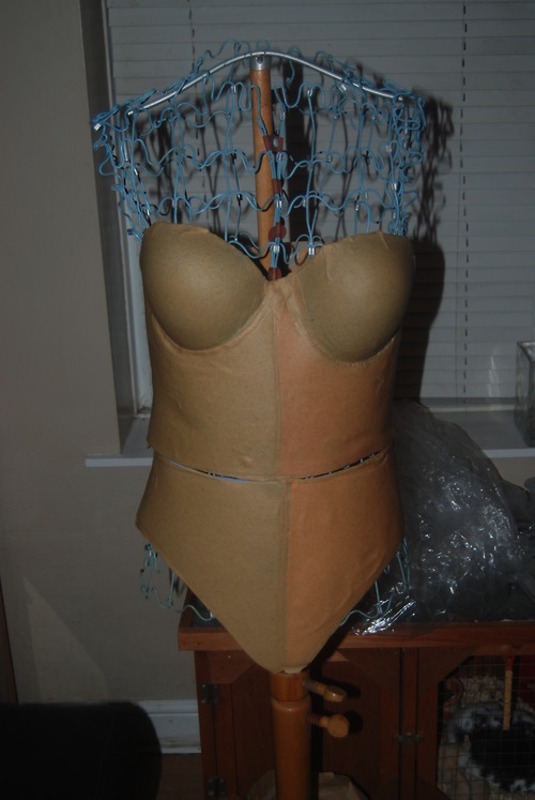 I then adjusted the shape until it resembled the base shape I desired. 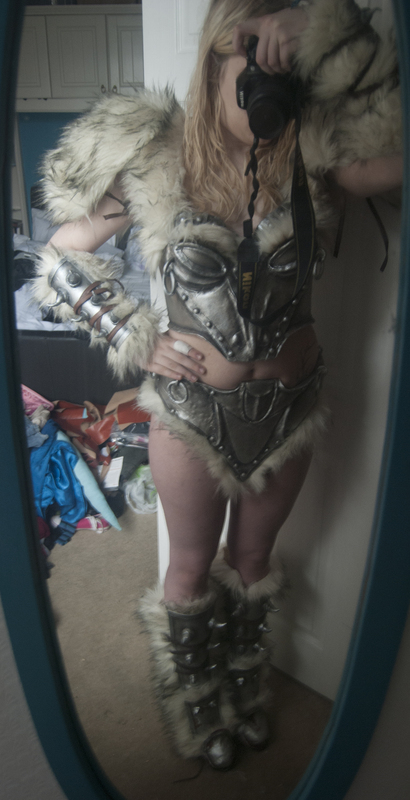 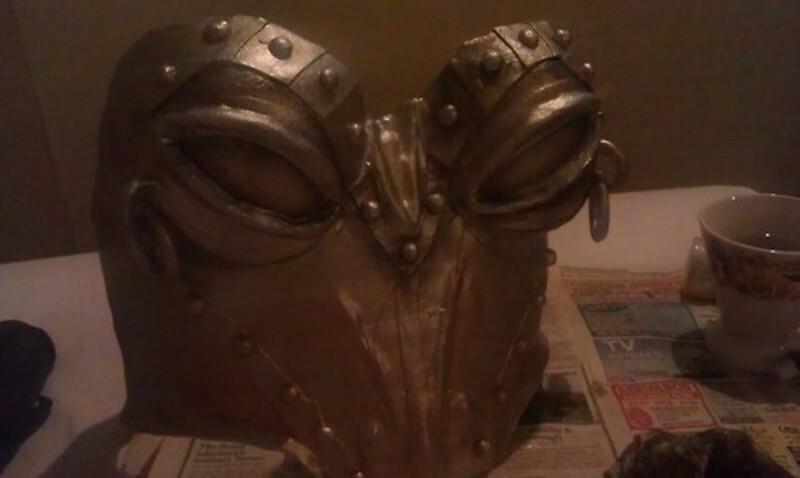 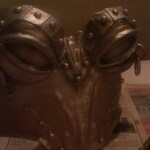 I then added accents using the Worbla; any leftover pieces were molded into studs, spikes and rings. 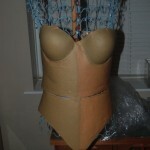 Painting the base coat and weathering the bodice. 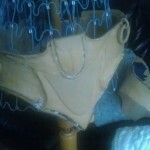 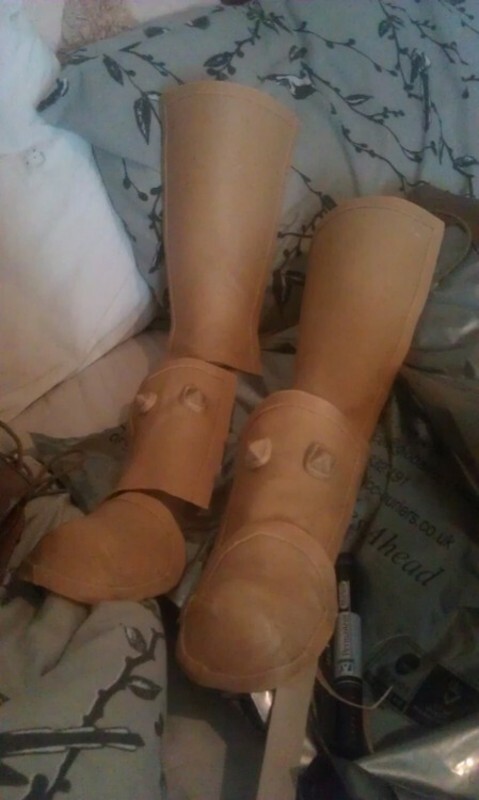 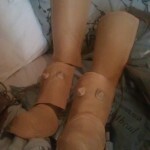 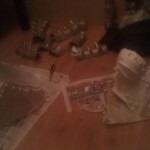 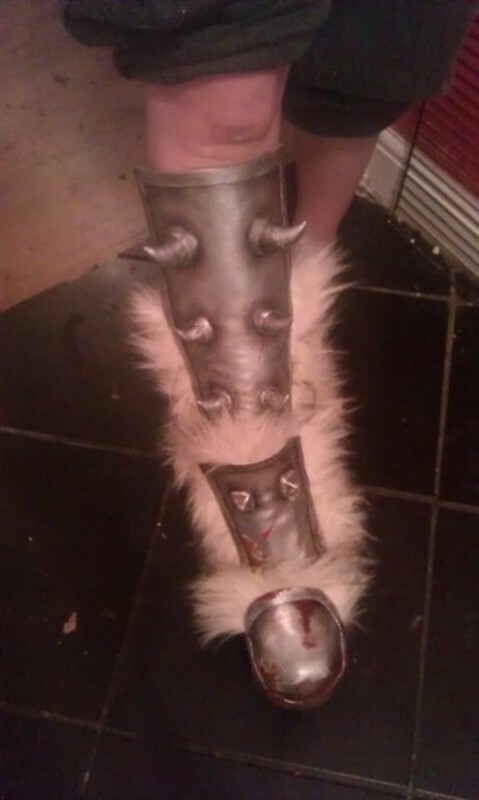 The leg armor in progress. 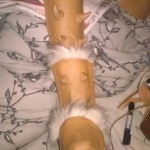 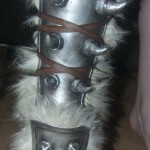 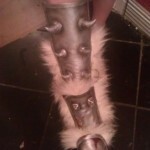 Leg armor with spikes and fur added. 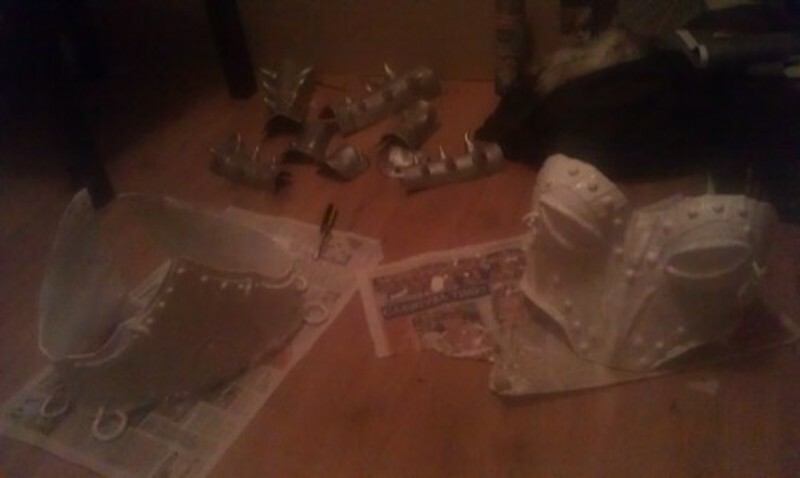 Leg Armor, painted and weathered. 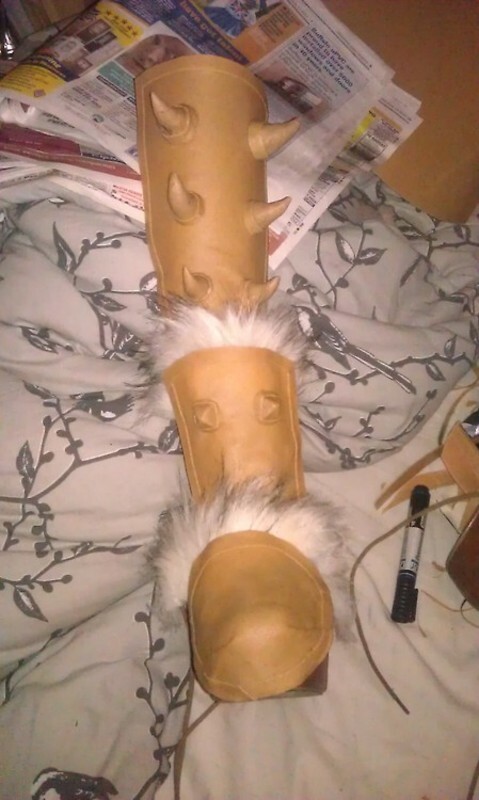 The Worbla was really easy to work with and I’m really happy with the end result, it was my first try at making armour and using Worbla and I’ve had incredible feedback from fellow cosplayers. 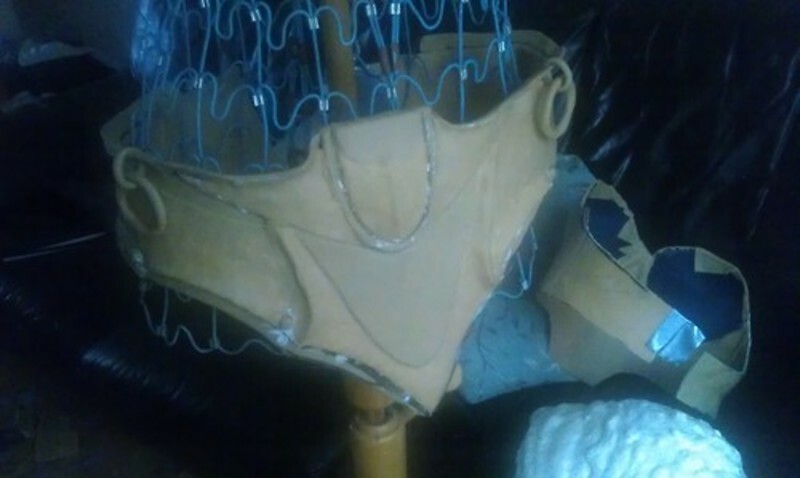 It has actually encouraged a lot of people I know to get into cosplaying and making bigger projects.